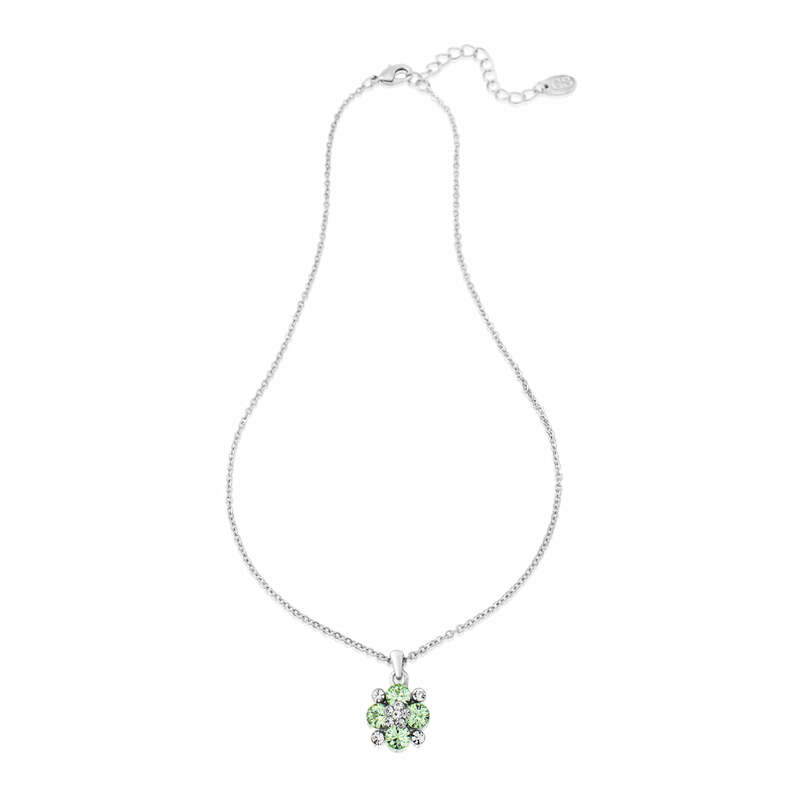 Sensationally pretty and sparkly, Peppermint Dream Jewellery Set captures 1950s retro charm with its light green crystal pendant, bracelet and earrings. 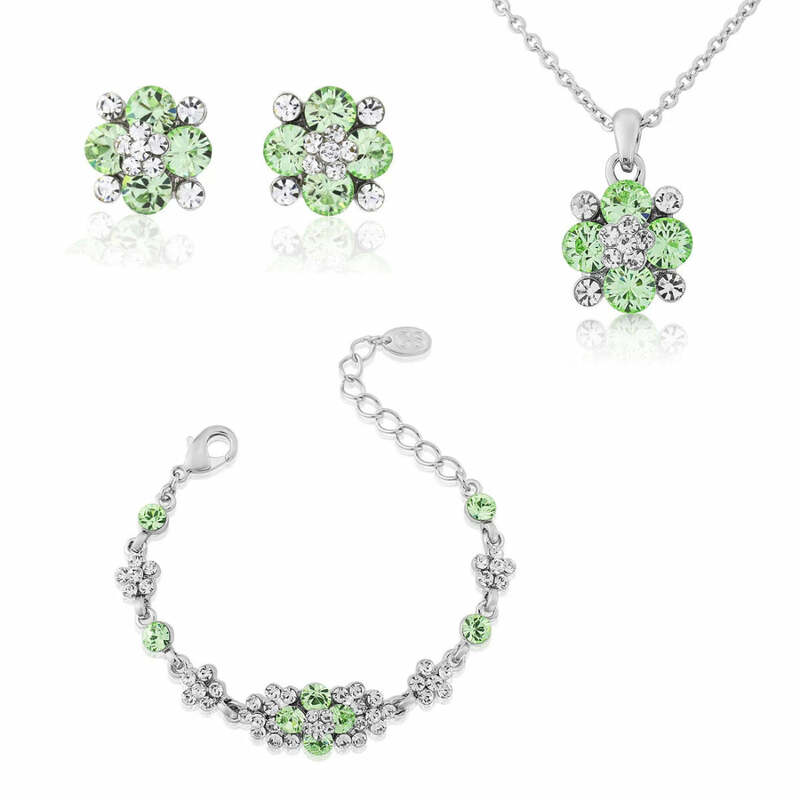 Full of retro elegance, our Peppermint Dream Jewellery Set bursts to life with its pretty green crystal clusters. Featuring a dainty pendant, bracelet and earrings, this oh so pretty set is the perfect Spring or Summer accessory. For brides with a green wedding theme, Peppermint Dream is an absolute must. 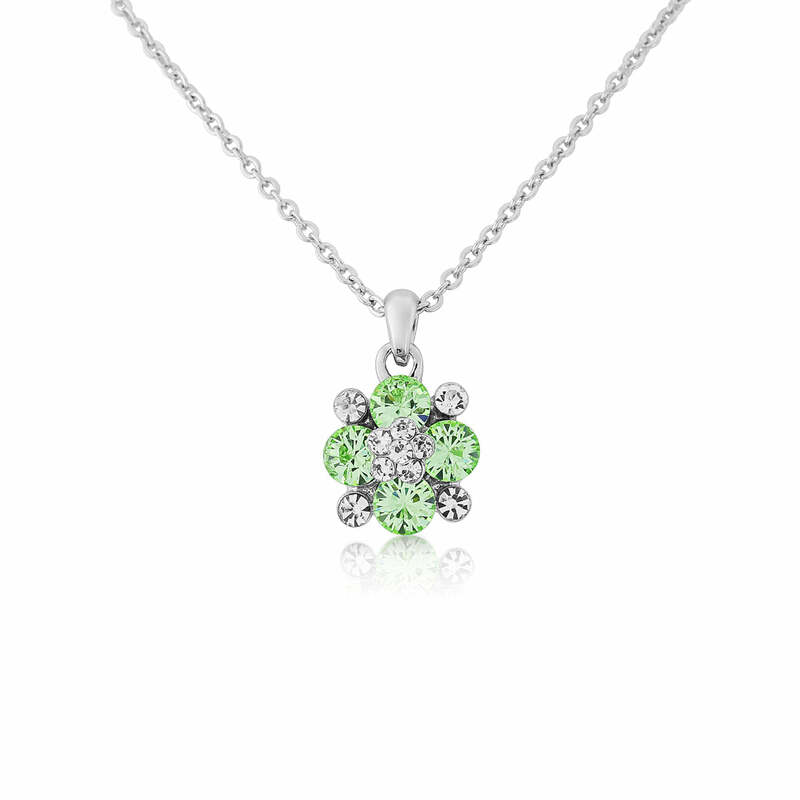 Whether to add a pop of colour to your white ensemble or to coordinate with light green bridesmaid dresses, the sparkle from this beautiful set will ignite your bridal style. 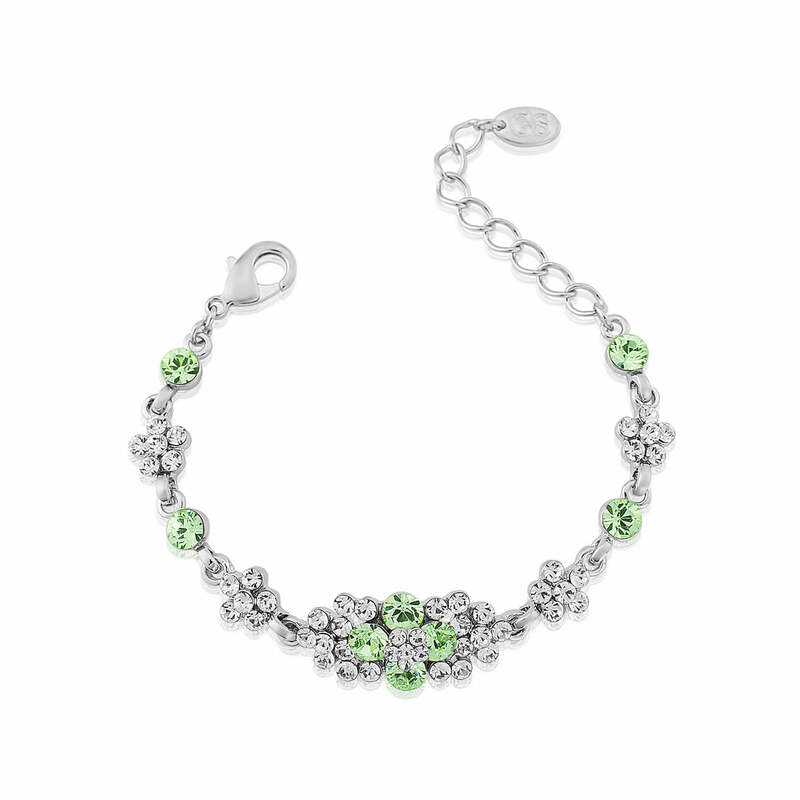 Gift your maids with these stunning pieces and they are sure to wear them time and time again. Dress up a little floral dress for a day at the races or team with a 1950s tea length down for vintage glamour your friends will adore. 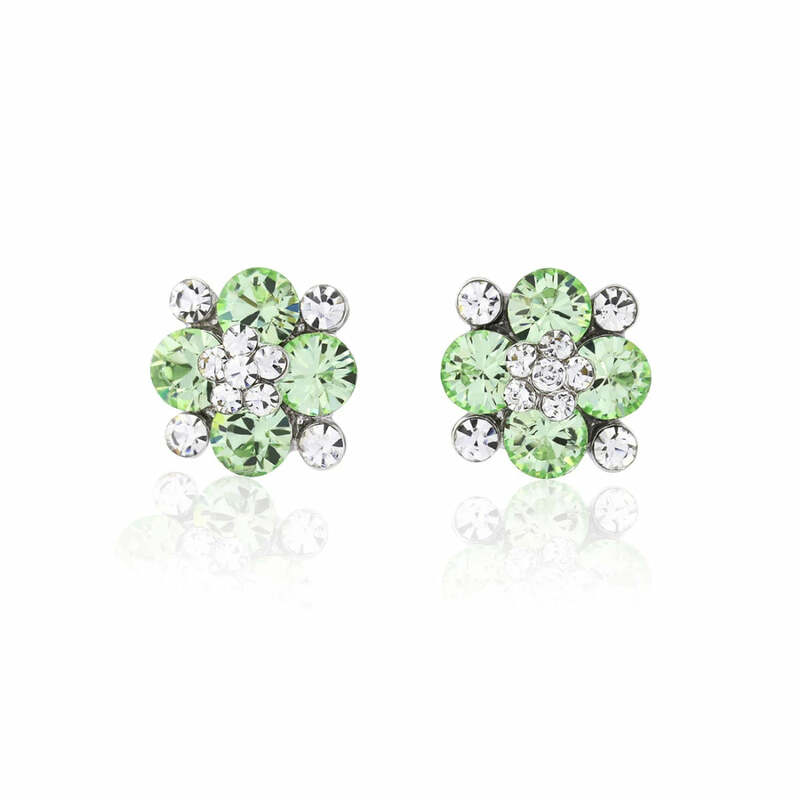 Available with coordinating hair accessories, these pastel green jewels will add candy colour to every occasion.